Winter Sports in Lenk i. S.
enk in the beautiful Simmental valley is the less well-known of the resort area known as Adelboden-Lenk, but it has some advantages over it's more famous neighbour. It gives reasonable access to most of the terrain accessible from Adelboden (although you cannot ski back) and has some pleasant local slopes just above the village. Lenk is only a short train ride away to Zweiswimmen to access the Gstaad area. Lenk also has a spa and a couple of excellent restaurants specialising in the renowned local cuisine. 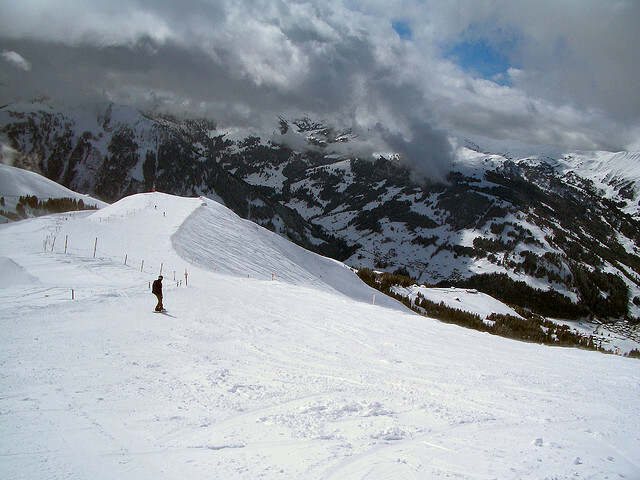 Lenk's longest piste is the 9km Tschuggen run on the Betelberg followed by the 7km run off Bergstation Mülkerblatten. The best destination to access the downhill slopes by public transport in this ski area is Lenk, Metschbahnen. It is possible to walk from Lenk station to the lifts, avoiding the need to use the bus. The resort operates the Snow'n'Rail scheme, providing a 20% discount on the combined travel ticket and lift pass. From Zurich the least travel time is 2 hrs 59 mins with as few as 3 changes going via Bern / Zweisimmen / Lenk. Typically, an adult one day combined ticket is 184.80 SFr, reduced to 121.20 SFr with a Half-Price card. From Basel the least travel time is 3 hrs with as few as 3 changes going via Spiez / Zweisimmen / Lenk. Typically, an adult one day combined ticket is 173.60 SFr, reduced to 115.60 SFr with a Half-Price card. From Berne the least travel time is 1 hr 16 mins with as few as 1 changes going via Frutigen. Typically, an adult one day combined ticket is 118.40 SFr, reduced to 87.60 SFr with a Half-Price card. From Lausanne an adult one day combined ticket is 164.80 SFr, or 110.80 SFr with a Half-Price card. From Luzern an adult one day combined ticket is 172.80 SFr, or 114.80 SFr with a Half-Price card. Indicative prices are for travel to Adelboden, Post. Click here to find prices for other destinations. Under the combined ticket scheme the additional charge for a two day pass is 50.40 SFr. The road distance from Zurich is around 187 km and the journey time is roughly 2 hrs 30 mins. The road distance from Basel is around 179 km and the journey time is roughly 2 hrs 20 mins. The road distance from Berne is around 86 km and the journey time is roughly 1 hr 20 mins. 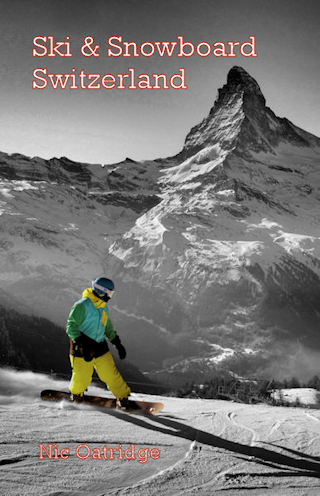 Other resorts in the ski area include Kandersteg, Adelboden and Gstaad. There is a direct train link to Zweisimmen. Piste Map for Lenk i. S.
Larger piste map for Lenk i. S.
$$$$ Parkhotel Bellevue & Spa, Adelboden (4*) Ranked #10 by Tages-Anzeiger amongst Swiss 4* Hotels. $$$ The Cambrian Hotel & Spa, Adelboden Ranked #2 in Adelboden by TripAdvisor. $$$ Adler Adelboden, Adelboden Ranked #1 in Adelboden by TripAdvisor. $$ Hotel Rustica, Frutigen (3*) Family run hotel, regarded highly locally for its cuisine, particularly fish specialities. $$ Hotel National, Frutigen Friendly, conveniently-located, family-run hotel with a good restaurant featuring Thai and European dishes on the menu and delicious home-made chocolates..
$$ Hotel Landhaus Adler, Frutigen Family-friendly hotel with innovative hotelier. $$$ Hotel Victoria Ritter, Kandersteg (3*) Family hotel. $$$ Landgasthof Ruedihus, Kandersteg Rated a historic hotel by the Swiss Tourist Board. $$$ Hotel Krone, Lenk (3*) Family hotel. $$$$$ Lenkerhof Alpine Resort, Lenk i. S. (5*) Ranked #12 by Tages-Anzeiger amongst Swiss 5* Hotels and #1 in Lenk by TripAdvisor. Swiss Ski & Snowboard School Lenk I.S.